No fixed term contract, no monthly charges, add and remove people whenever you need and pay only for what you use. Going to a new payroll system sounds like hard work. We make it easy with free set up, training, and 0800 support from our local New Zealand payroll experts in the Lower Hutt office. Forget chasing paper timesheets. 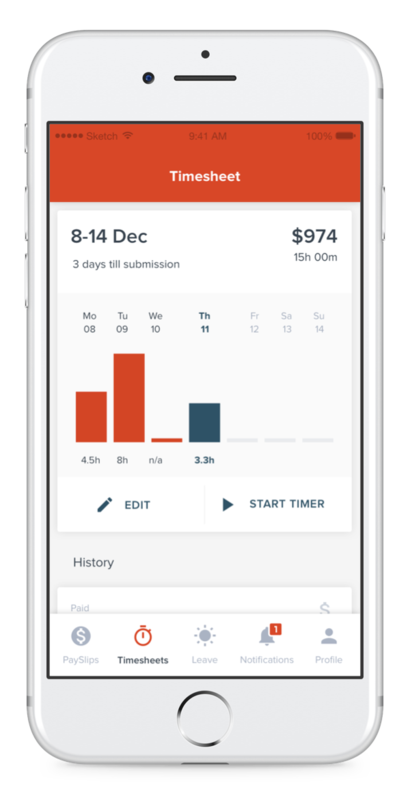 Our free app for iOS and Android lets your team submit hours from anywhere. 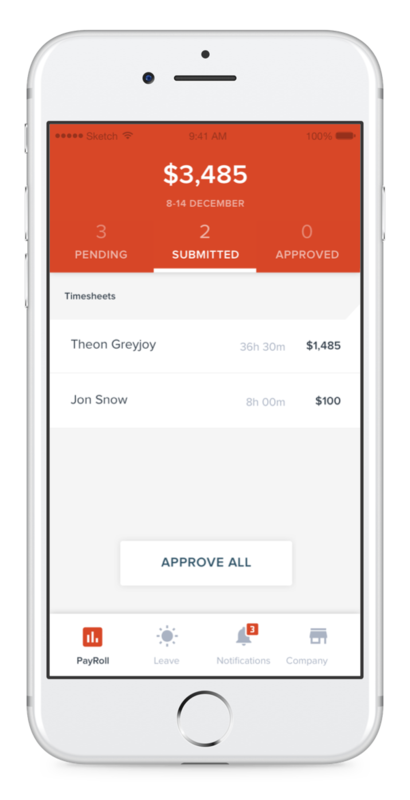 From wherever you are, on your smartphone or computer, run your payroll in minutes. Once you approve with a single click, we’ll run calculations, make payments, and file with the IRD. Be confident you’re getting wages, PAYE, holiday pay, KiwiSaver, student loans and minimum wage calculations 100% accurate. We’ll automatically keep you up to date with the latest payroll standards. PaySauce customers are already on Payday Filing thanks to our smart integration direct to Inland Revenue. The PaySauce mobile application is your digital connection to your people. Made available free of charge when you sign up, it enables for timesheets to be filled in on the move, leave applications to be submitted, payslips to be accessed and real-time messaging between managers, admins and employees. PaySauce provides a customised manager view into the mobile application as well as a web based application. This allows all types of managers to assist their people effectively and from wherever they need. Timesheets can be edited or approved and leave can be accepted or declined all with single click functionality. Automated messages can be pushed to all people as reminders for timesheet submission. 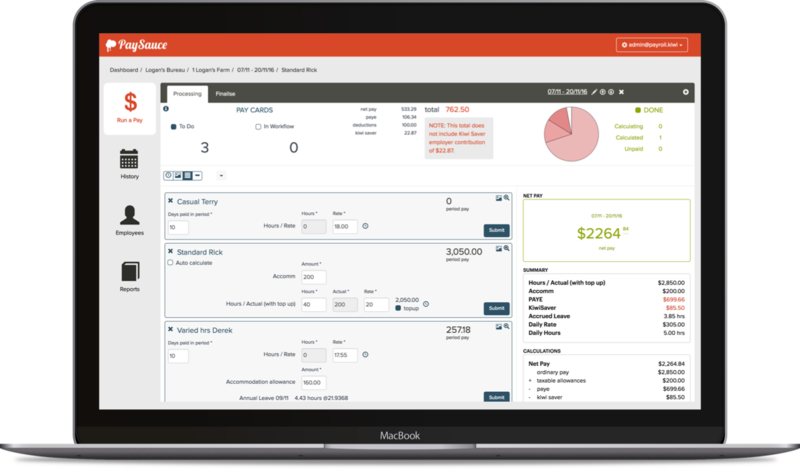 PaySauce is a dream for payroll administrators. All information arrives digitally to both our web and phone applications, so you can run payroll in seconds and be sure that it is 100% accurate and secure. PaySauce has built direct integrations with all business banking partners and the IRD, so you don't need to worry about making payments or filings anymore.